Consuming refined carbohydrates is linked to a heightened risk of developing type 2 diabetes, not to mention heart disease. But what if a supplement could decrease the breakdown of carbohydrates into simple sugars? That might reduce a person’s risk of developing type 2 diabetes. Our latest study, published in PLOS ONE, shows that an extract made from mulberry leaves might do just that. Previous research shows that herbal medicines could be effective in regulating blood glucose levels. 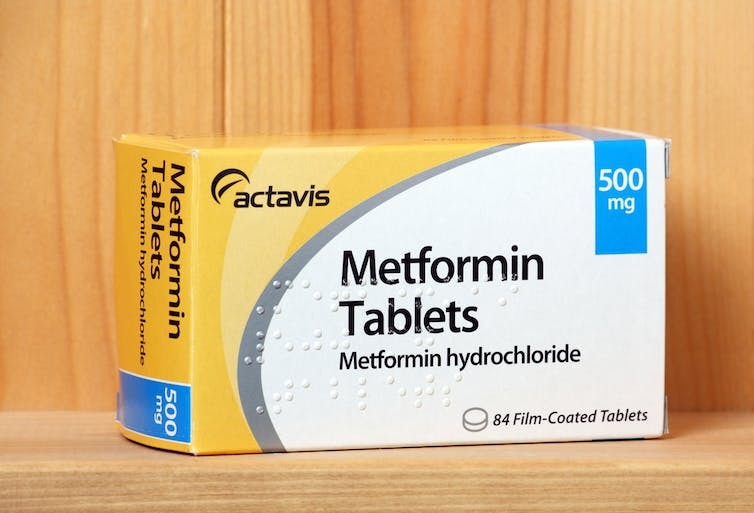 Indeed, the history of the commonly used diabetic drug metformin can be traced back to the use of a herbal medicine, Galega officinalis (goat’s rue or French lilac) in medieval Europe. G. officinalis was found to be rich in guanidine, a substance with blood glucose-lowering activity that formed the chemical basis of metformin (biguanide). This insulin sensitising drug was introduced in 1957. Mulberry leaves have been used in traditional Chinese medicine for several millennia and its use was first recorded in around 500AD. In the Grand Materia Medica, it states that “if the juice (of the herb) is decocted and used as a tea substitute it can stop wasting and thirsting disorder”. Wasting (weight loss) and excessive thirst along with increased urination and tiredness are symptoms associated with diabetes. We aimed to investigate the effects of mulberry extract on blood glucose and insulin responses in healthy volunteers with a randomised, double-blind, placebo-controlled clinical trial – the gold standard for a clinical trial. We took blood samples from 37 healthy volunteers after they had consumed a carbohydrate rich drink (containing maltodextrin, a dietary starch with a high glycaemic index that is commonly added to many foods and beverages). Each participant took either a placebo or one of three doses of the extract along with the drink on four separate days. We measured each person’s glucose and insulin levels over the following two hours. Our analysis showed that the standard strength mulberry extract (250mg) reduced the total glucose and insulin rises by 22% and 24% respectively compared to a placebo. These results were both statistically significant (unlikely to be due to chance) and clinically significant, and thus could have meaningful health benefits. The extract effectively reduced the total amount of sugar being absorbed into the bloodstream by over 20%. The extract didn’t cause any side effects in the volunteers, such as nausea and flatulence – side effects which are common with many diabetic medications. An active component in the extract, 1-deoxynojirimycin (DNJ), blocks the breakdown of carbohydrates into simple sugars, preventing the absorption of sugar, lowering blood-glucose rises. Although mulberry leaves can be used to make tea, the particular extract we used had undergone strict quality control processes in order to guarantee consistency of its DNJ content. In order to draw definitive conclusions about the long-term health benefits of mulberry leaf extract, longer, more pragmatic trials reflecting real-life dietary habits are needed to show if this herbal supplement could prevent the development of type 2 diabetes. The initial results are certainly promising.